Microsoft Surface Laptop is being sold in India while the Surface Laptop 2 is already out in global markets. So, is this product even relevant? Read on as we try to find out. Microsoft Surface Laptop brings the design of Surface Pro 4 to notebook form factor. It has the perfect synergy between hardware and software, translating into seamless user experience. The Alcantara fabric on top of the keyboard is rather impressive. October 3, 2018. 1.30AM IST. 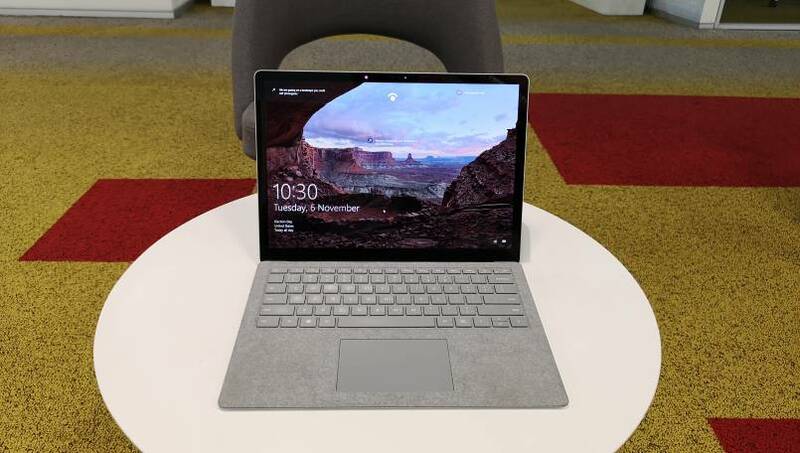 At an event held in New York, Microsoft launched the second-generation Surface Laptop alongside the Surface Pro 6 and Surface Studio 2. On that same day, at around 2.30PM IST, Microsoft sent a package with Surface Laptop mentioned on top of it to us. At first, I thought it’s the Surface Laptop 2 but when I unboxed the device, it was clear that I was looking at the first generation device. My immediate reaction was how is this product even relevant when the Surface Laptop 2 is already out in the market. However, after pulling the device out of its sleeve and experiencing that Alcantara fabric on top of the keyboard, I changed my mind and went ahead using the Surface Laptop as my primary laptop. Now, before we talk about this device, it is important to understand how we got here. One of the landmark moments in the history of modern notebooks can be attributed to the launch of MacBook Air in 2008. More than ten years ago, when late Apple CEO Steve Jobs pulled out the thin and light notebook with aluminum case from an envelope, it was clear that this will set into motion a rise of new breed of laptops. Windows OEMs and their silicon partner, Intel immediately began work on ultrabooks, the Windows equivalent to MacBook Air but they never really developed a convincing rival. Dell, HP, Lenovo and others came close but Air held its own charm. However, fortunes for all these companies changed when Microsoft launched its own Surface-branded devices and Apple stopped annual updates for MacBook Air, arguably the most beloved laptop in the world. Microsoft has been making Surface-branded computers for good six years now, and has suddenly become a leader of sorts in the segment. The Surface range became a major triumph when the company launched the Surface Pro 4 in 2015. The Surface Pro 4 was a detachable 2-in-1 device and it was so good that people started asking Microsoft to build a traditional laptop. While Microsoft followed up with a Surface Pro next year, it launched the Surface Laptop only in late 2016. The Surface Laptop was the first device that many considered as the spiritual successor to the original MacBook Air. If you wanted a MacBook Air with thin and light design, modern specifications and Windows then look no further. To recall, Microsoft launched the Surface Laptop in India only in August, and I have spent more than a month using it as my primary computing device and with MacBook Air getting some much needed love from Apple last month, the question is not just limited to how good it is, but is it even relevant. When it comes to laptops and computers at large, the three most prevalent materials are – aluminum alloy, magnesium alloy and carbon fibre. All Apple designed laptops can be associated with aluminum alloy while Lenovo’s ThinkPad X series can be associated with Carbon fiber, and Microsoft’s Surface lineup tries to distinguish itself by using Magnesium Alloy. 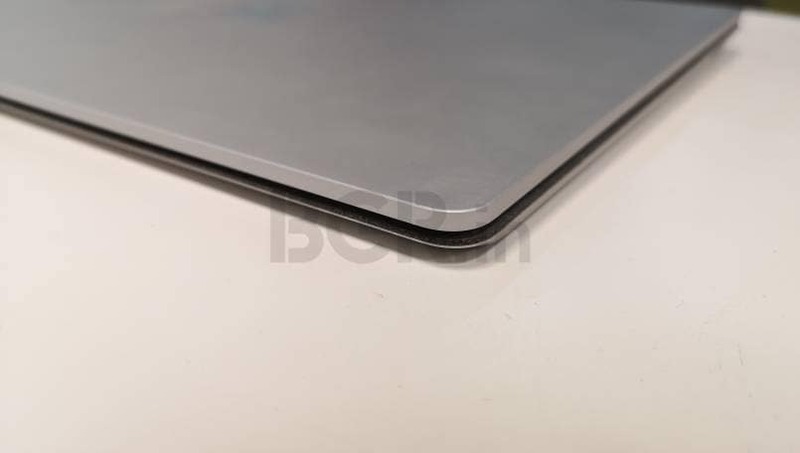 Let’s not talk metallurgy here but the key takeaway is that the magnesium alloy used for Surface Laptop’s casing feels similar to that of aluminum alloy but it lacks the sharp feel you get at corners. In my review of the Lenovo Yoga 920 Vibes, which sports a metal and glass construction, I observed how the corners are sharp enough to scratch your wrist. 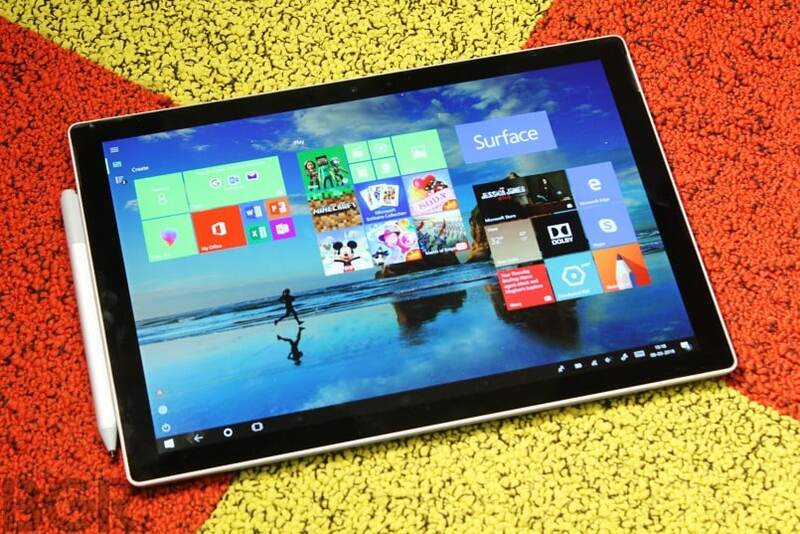 The Surface’s magnesium alloy negates that and has a very cool touch feel to it. The magnesium alloy is lighter than aluminum, and also has higher strength to weight ratio. Most of my friends called the Surface Laptop as a glorified copy of MacBook Air, in terms of design. 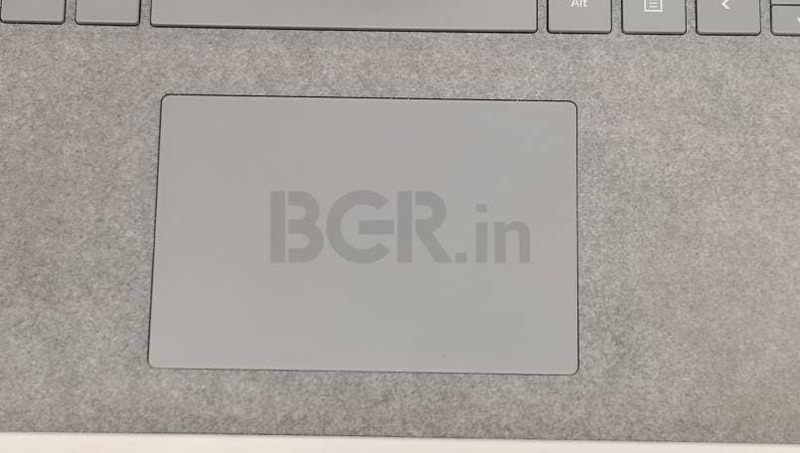 While the MacBook Air sports a wedge-shaped design, the Surface Laptop goes for a traditional design that is boxier in whole and has curved edges at the corners. 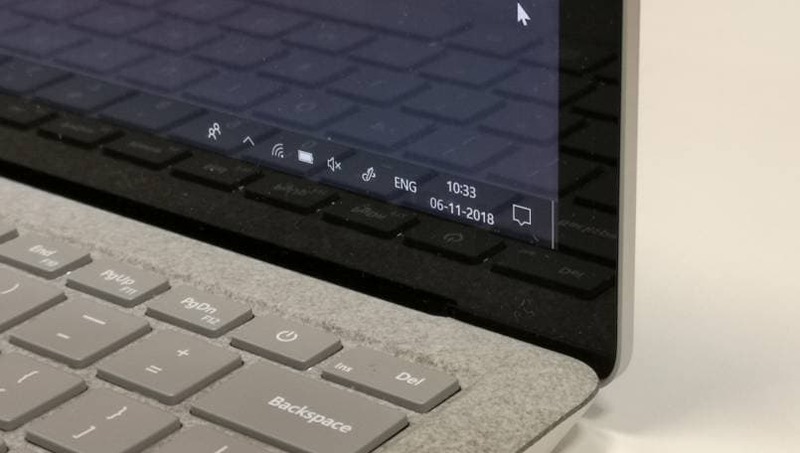 The display connects to the bottom part bearing the keyboard without much of a reflex but the use of Alcantara fabric on top of the keyboard gives it a look as if the display is not plush with the keyboard. Overall, the Surface Laptop not just feels well built, but also very much premium. Microsoft has equipped the Surface Laptop with a 13.5-inch PixelSense display with a resolution of 2256×1504 pixels. The display has a pixel density of 201 ppi, and is protected by Corning Gorilla Glass 3. This is one of the best displays on any notebook right now. The factory calibrated panel has great color reproduction, and Microsoft claims it supports 100 percent sRGB color gamut. In my own test, I found the display to be adequately bright and easy to read even under direct sunlight. It does support touch functionality and can also be used with a stylus, mainly Microsoft’s own Surface Pen. The Surface Laptop comes in a total of five different configurations in India. There are two models with 8GB RAM and Intel Core i5 CPU and option for either 128GB or 256GB SSD storage. The three other variants use Core i7 CPU with 8GB or 16GB storage and option for 256GB or 512GB or 1TB of SSD storage. The Core i5 models relies on Intel HD Graphics 620 while the Core i7 models uses faster Iris Plus Graphics 640. For the purpose of this review, Microsoft sent us the base variant with 7th generation Core i5-7200U processor coupled with 8GB of RAM and 128GB storage. Yes, this is the same core processor with two cores as opposed to quad-core Core i5 CPU found on the Surface Laptop 2. In terms of real performance, there is not much to complain. If you are someone who uses their laptop for basic work like writing mails, browsing the web or editing textual content then Surface Laptop delivers overwhelmingly. But, the minute you enforce an activity that does not fit these kind of profiles then it shows its weakness. For instance, I tried to edit a RAW image shot on a Nikon D850 on Lightroom, and the laptop almost came to a stop. The photographer friend of mine, who uses much more powerful system, could notice how transitions rendered slower and there was often a lag before you see changes to your images. This could be owed to not so powerful Core i5 CPU or just 8GB of RAM at the disposal of this machine. It is pretty much clear if your work basically revolves around web, like mine, then Surface Laptop is a good choice but if you have anything a bit demanding then you should look at more powerful machines like Dell XPS 13 or Lenovo ThinkPad X1 Extreme or Microsoft’s own Surface Book 2. The Surface Laptop may lack raw power but it does have some features that really stand out as you use the machine over a longer period of time. One of my favorite features is the Windows Hello facial recognition camera. Trust me, this iris facial recognition system is ridiculously fast. Over the period of last month, I have used only the Windows Hello system to unlock the machine. It works extremely well whether there is light or not. It unlocks instantaneously and recognizes the owner of the device even from weird angles. For example, I would lock the machine and step out of my workbench to grab coffee and even before I settle back down on my chair, the sensor would recognize. This is a proof that 3D system is getting better at identifying users even from distances or from weird angles. In simple words, the Windows Hello system worked 9 out of 10 times, and I would argue that it is faster than the fingerprint recognition system on most laptops. The second favorite feature is the speaker system. 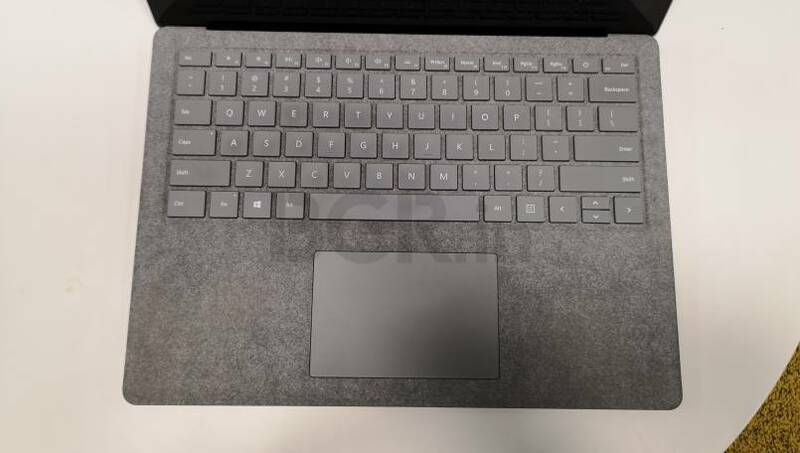 Microsoft did not have much space to play around with in the case of Surface Laptop and so the designers built the speakers underneath the keyboard. 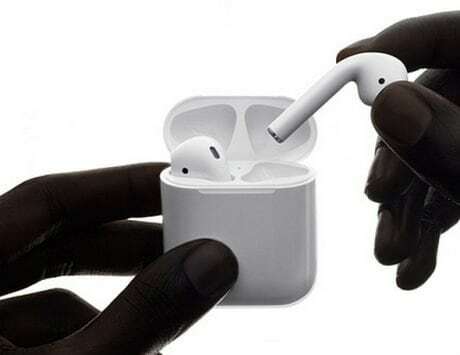 One, this design is non-intrusive and second, the sound output is extremely good. There is a small tweeter below every key and the output is much more balanced than I had expected from a laptop speaker and is loud enough for private listening in your room. If there is anything that I would like to see on Surface Laptop 2 then it would be deeper bass, because you know I’m all about that bass. The port situation is a tricky one. 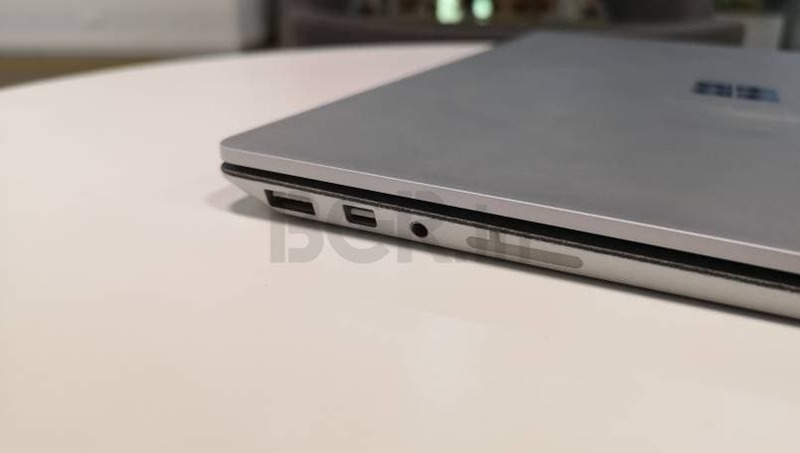 There is a USB 3.0, a Mini DisplayPort and headphone jack on the left. On the right hand side, there is only the Surface Connect port for charging and like MagSafe, it won’t take the laptop along if you trip over the charging cable. But the lack of a USB Type-C port or SD card reader costs dearly. It is the same with Surface Laptop 2 as well so be prepared to read these same lines when I review it after India launch. My job involves typing several thousand words during the day and I expect my laptop to have nothing but the best keyboard. The Surface Laptop’s keyboard is not the best but it comes really close. Of all laptops that I have used this year, I think Lenovo ThinkPad X1 Carbon/Extreme and the Surface Book 2 have the best keyboard and Surface Laptop is a close second. The keys here have a 1.5mm travel, which is pretty good for a thin and light notebook and the keys themselves seem softer in response. As a result, you don’t need a lot of actuation force and there were times when I felt like touching the key surface, which shouldn’t result in anything but the keyboard did register the entry. It is all about the feel of the keys and within a week, I got accustomed to it but there is a small learning curve moving from Surface Book 2. On the Surface Laptop, I found myself typing faster than I would on most laptops and the accuracy was also acceptable. The whole typing experience is aided by the Alcantara cover which makes it easy to rest your arm on top of the notebook itself. Yes, I also dropped some liquid and wiped it easily. The trackpad, covered with glass, is responsive and understands gestures really well. It is aided by precision drivers which help get the most out of Windows 10’s gesture support. But, the trackpad is considerably small and when you look at the trackpad on Apple MacBook Pro, this looks tiny. I delayed my review of the Surface Laptop because of two reasons: 1. The imminent launch of 2018 MacBook Air, and 2. Windows 10 October Update. I must say that the decision to wait for the update was a mistake. Microsoft released Windows 10 October as version 1809 and it was plagued from the word go. As soon as it went live, Windows 10 users found the update deleting their primary files and later, some users saw the update deleting the registration key as well. 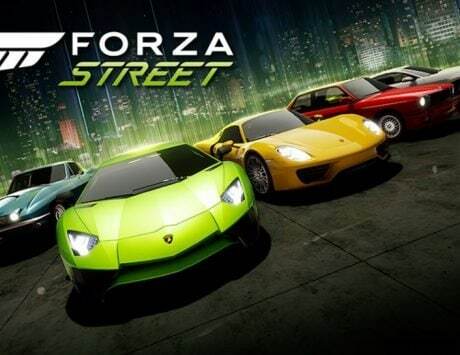 This forced Microsoft to pull back the update and it re-released the version only few days back. It is disheartening that Microsoft failed with such a key thing when its goal is to issue major updates at least thrice a year. So, I used the Surface Laptop with Windows 10 version 1803, which was released as April 2018 Update. This update brings dynamic character to Windows and builds on top of Fluent Design Language. There is now subtle animations within apps and the apps now have blur effect, which dates back to Windows Vista era. One of my favorite features with this build is Timeline, which allows you to start a program on one device and then resume it on another device. I’m really surprised how well it hands off applications between Windows 10 PC and say edge browser on an iPhone or an Android smartphone. The fact that Windows 10 can remember my activity, across apps for 30 days is a big win for productivity. Few other features that stand out with this release is the dictation feature, which can now be accessed by simply pressing Windows + H key on the keyboard. I don’t use it a lot but it is better than before. When I moved from Fall Creators Update, the immediate thing that I noticed is how Microsoft has fixed all blurry apps. This was really painful and now that it has been fixed, the whole experience turns seamless. Quick Bluetooth sharing and nearby sharing, which is a clone of Apple’s Airdrop is a welcome addition. I’ve been using Windows for a really long time. While Windows Vista and Windows 8 were sub-par versions shipped by Microsoft, the Windows 10 update is a much refined experience with little or no user facing issues. The experience just stands out on a device like the Surface Laptop since the hardware and software is from the same brand. People don’t ask this question “What laptop should I buy?” that often anymore and for years, I have recommended MacBook Air, even to those who have been on Windows. But the past few years have changed the nature of computing so much that Apple’s laptop is not really close to any of its competitors running Windows 10. Last month, Apple answered it’s critics with the new MacBook Air that gets the much needed hardware upgrade like 100 percent recycled aluminum case, updated 8th generation Intel Core processors, Touch ID integration and third-generation butterfly keyboards. I’m yet to see the new MacBook Air in person but I already have a feeling that Apple’s choice with the processor is a bit conservative and the keyboard may not appeal to purists. On the Windows side of things, there is Dell’s excellent XPS 13 and Lenovo’s ThinkPad X1 Carbon, which really stand out for performance, design and acceptable pricing. So, is the Surface Laptop relevant in that context? Well, the simple answer is Yes, it is relevant. I’ve believed in building out my computer with following thought process – always buy twice the amount of RAM you need for work or play, and go for a higher end generation old processor, which would have received a price cut after launch of newer CPU. So, the Surface Laptop with 7th generation Intel Core processor and 8GB of RAM fits the bill, but I would argue that you do skip this one. Wait, I know you would be thinking what’s the point of all this praise if your recommendation is not to buy this laptop. Well, the answer is that this praise is applicable for the Surface Laptop 2 as well and with newer chipset, it only gets better. 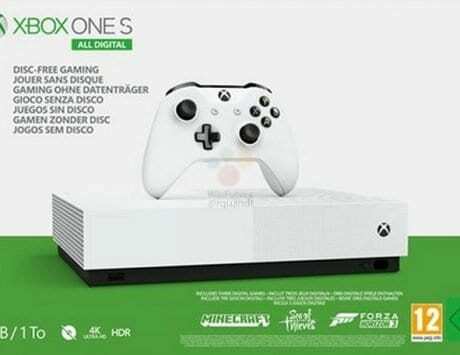 But, if Microsoft drops the price of this base variant, which currently retails at around Rs 83,000 to Rs 70,000 then I don’t see why it won’t be the best laptop for most users.